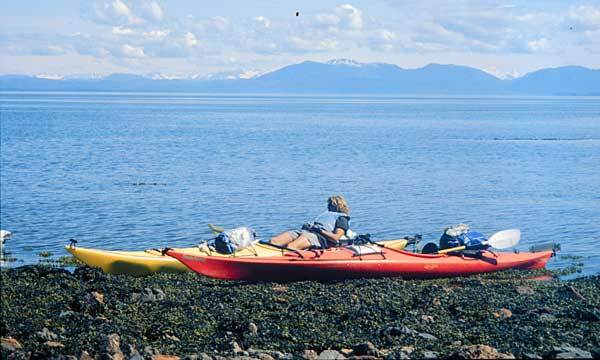 Volunteers for the North Prince of Wales Archaeological Sites Monitoring by Sea Kayak PIT project were introduced to the archaeology of the south Tongass NF while accomplishing an important program goal—site monitoring. Sea kayaking is both an effective means of accessing archaeological sites and an exciting recreational experience for volunteers. Once relatively unknown archaeologically, the north shore of Prince of Wales Island has become much better known in recent years. On Your Knees Cave has evidence of human occupation dating to 9300 B.P. In more-recent millennia, the area has been intensively used by Native people for fishing and by Euroamericans for timber harvesting. 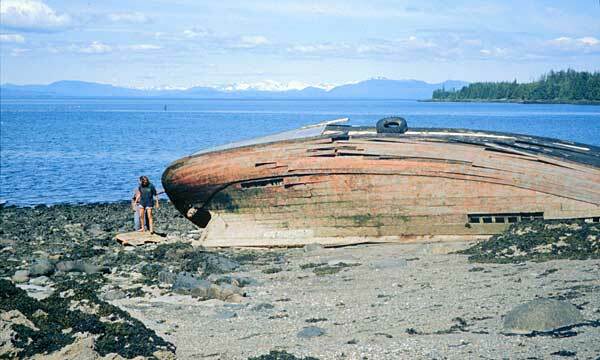 The area selected for this trip—Whale Pass to Red Bay—contains more than 20 known archaeological sites, representing about 4,000 years of human use of the island’s resources. Preparation for the trip began the week before castoff, and a Sunday evening barbeque was held in Klawock for volunteers and staff the day before the project started. People got to know one another, and we made final plans for the next day. Monday morning, 11 of us left the district office with seven kayaks strapped to three vehicles to drive the 75 miles to El Capitan Passage. 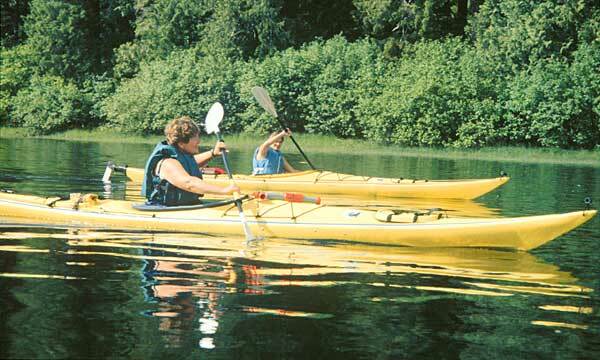 Upon arrival, we held kayak orientation in 50°F waters amidst gasps and considerable splashing. After dinner, we toured El Capitan Cave, an underground karst world full of both natural and cultural resources. On the second day, we trekked to Whale Pass on the northeast shore of Prince of Wales Island, where we monitored two archaeological sites—a petroglyph site and a wooden stake fish weir—before launching our kayaks. On our way to our evening campsite on a somewhat buggy small island off of Thorne Island, we monitored a shell midden site and a reported wooden stake fish weir (which we were unable to see because of the tides). Site monitoring involves observing and documenting a site’s condition through both note taking and photography to determine how a site’s condition changes from year to year. Our monitoring tasks fueled fireside discussions of topics such as rock art and rock art vandalism, changing land ownership on the island and how that affects historic preservation, Native corporations and communities, prehistoric fishing technology, and sea level change. We spent Day 3 monitoring a complex village site on private property near Whale Pass, which was once owned by the State of Alaska and, before that, by the FS. The land’s new owners are struggling with the desire to develop their property while still respecting the cultural remains present at the site. The shell deposits at the site have been radiocarbon dated to 2900 B.P., and ground stone and human burials have been recovered. We had hoped to monitor another fish weir that afternoon, but the tide was against us. We headed straight for our campsite at Exchange Cove, with a small detour to purchase fresh Dungeness crabs for dinner from a commercial crabber working the shallow waters. On Day 4, we lost Cat Woods, from the Thorne Bay Ranger District, and Jay Marble, from public radio station KRBD, who did a segment on the project, to their day jobs. 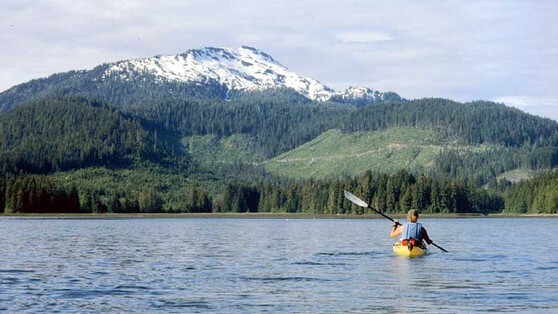 The rest of us took advantage of the calm day to paddle north to Salmon Bay. We monitored an old salmon saltery site, where, even though no standing buildings remain, there are abundant surface deposits of bottles and cans. In midafternoon, we met our resupply flight, a DeHavilland Beaver carrying fresh meat and veggies, before heading to the night’s campsite near the outlet of Salmon Bay Creek. Friday (Day 5), we were able to put our earlier orientation to fish weir technology to good use. 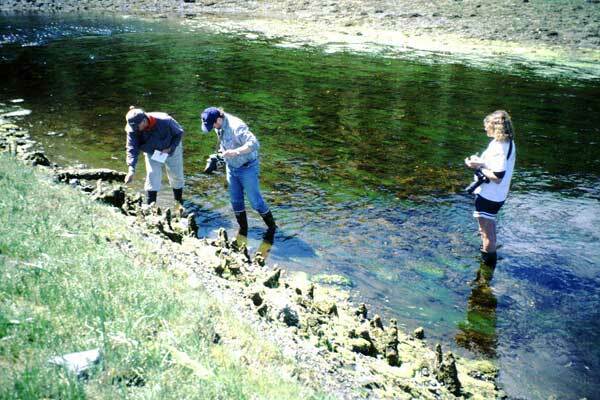 During a low-tide walk-and-paddle along the channels and through the mud flats, we identified a complex of stone and wooden stake traps spanning almost a mile along the bay (and we hadn’t even surveyed the entire bay!). The team carefully documented the find and rested well that night after a hard day’s work. Day 6 was magnificent. After we broke camp and paddled out of Salmon Bay, we saw humpback whales spouting a short distance offshore. The snow-capped mountains of the Coast Range were clearly visible to the east and reflected on the calm waters of Clarence Strait. 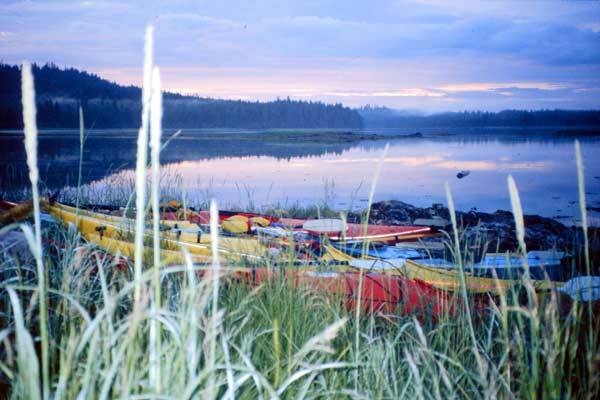 Our goal for the day was simply to reach our next, and last, camp at Red Bay. En route, we had hoped to survey at California Bay, but the dense vegetation and marshy conditions were not promising. By early evening, we had set up a comfortable camp on the bay’s west coast. Days 7 and 8 were spent monitoring a variety of sites, including cabins, fish weirs, and shell middens. At one of the shell middens, we excavated a 50-by-50-cm test pit, learned something about the site’s stratigraphy, and collected a charcoal sample for radiocarbon dating. Even on Day 9, on our way out of the area, we found time to monitor a site. By late afternoon, we were back in town, and by early morning the next day, everyone had left the island. As with other PIT efforts, many benefits, tangible and intangible, came out of the project. Some are seen immediately, and some unfold over time. In the case of this project, we monitored 19 prehistoric and historical-period sites. We significantly expanded what we know about five of them and noted natural or cultural impacts at six sites. The more subtle accomplishments are in the area of education. Volunteers and staff discussed a wide range of topics, and there were a lot of new ideas and much thoughtful discussion.